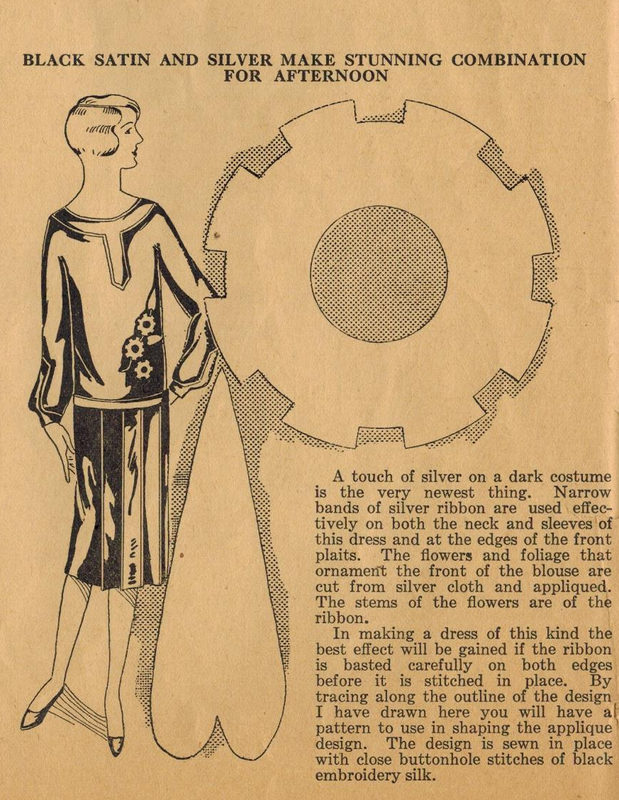 In this tip for her 1920s readers, Ruth Wyeth Spears draws an elegant afternoon dress in a shimmering fabric. To this she applies abstract flower appliques with applique leaves and a ribbon stem. She recommends silver cloth appliques and silver ribbon on a dark fabric (perhaps black?). It's the very newest thing! Use the motifs in this tip as your template when you want to add this Art Deco element to your afternoon frock. Just tap or click on the image to enlarge it and then print it.